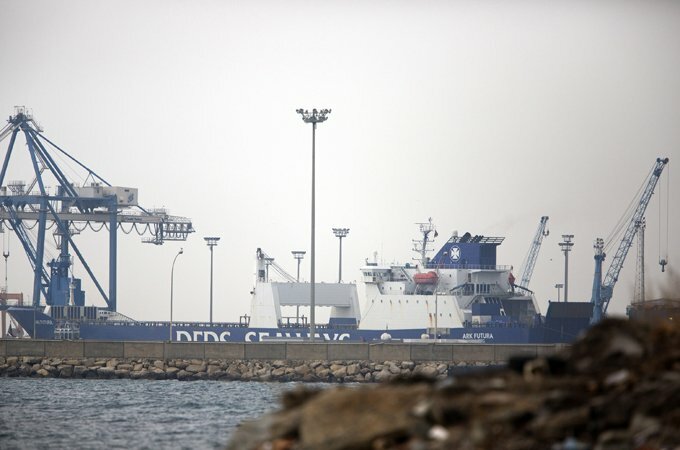 The first Syrian chemical weapons are leaving the country on a Danish ship. The vessel left the northern Syrian port of Latakia on Tuesday, escorted by Russian and Chinese warships. Removing the most dangerous chemicals is the first step of an UN-backed deal to eliminate Syria’s chemical arsenal. A previous bid to collect the materials was aborted after Syrian officials failed to deliver the toxic chemicals to the collection point in Latakia. The hazardous cargo is due to be taken to Italy, where it will be loaded onto a US Navy ship and shipped to international waters for destruction in a specially created titanium tank on board. The mission is being run jointly by the UN and the Organization for the Prohibition of Chemical Weapons (OPCW). The agreement was brokered by the US and Russia after rockets filled with the nerve agent sarin was fired at three towns in the Ghouta agricultural belt around the Syrian capital Damascus on 21 August. Hundreds of people were killed in the attacks. Western powers said only Syrian government forces could have carried out the assault, but President Bashar al-Assad blamed rebel fighters. In a statement on Tuesday, the UN confirmed that a small number of containers with “priority one chemical materials” were on board the Ark Futura cargo ship, one of two vessels in charge of collecting the materials. They will wait in international waters for additional chemicals to be delivered to Latakia for collection. A spokeswoman said the loading took only “a couple of hours”, but this delicate phase of the operation had been “months in the planning”. The OPCW did not disclose what percentage of Syria’s toxic arsenal – around 1,300 tonnes of weapons and precursors – had been removed. The toxic materials were supposed to have been removed by December 31st, but the deadline was missed because of heavy fighting and the presence of opposition groups along the main road between Damascus and Latakia. The complete elimination of all chemical weapons material and equipment must be completed by June. The “most critical” chemicals include about 20 tonnes of the blister agent sulphur mustard. The Syrian authorities are responsible for packing and safely transporting the chemical weapons from 12 sites across the country to the port of Latakia. Russia has supplied large-capacity and armored lorries, while the US has sent container drums and GPS locators. Russia will provide security for loading operations at Latakia, for which the US has supplied loading, transportation and decontamination equipment. China has sent 10 ambulances and surveillance cameras, and Finland an emergency response team in case of accidents. Denmark and Norway are providing cargo ships and military escorts to take the chemicals to an as yet unnamed port in Italy. Russian and China will also provide naval escorts. In Italy, the “most critical” chemical agents will be loaded onto the US Maritime Administration cargo ship, MV Cape Ray, to be destroyed by hydrolysis in international waters. Less-toxic chemicals will be shipped by Norwegian and Danish vessels for disposal at commercial facilities.